Top 10 signs you have been bit by the bourbon collecting bug. You have started to find strange locations to store unopened bottles. The dogs crate? She never goes in there any more. That shelf in the basement that has your Halloween costume from 1996? There’s plenty of space behind this clown outfit. 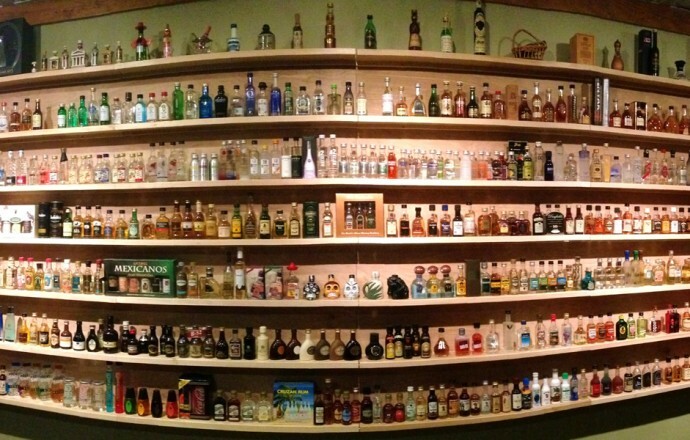 You scroll through the photo gallery on your iPhone, and it’s more pictures of bourbon bottles than of your own family. Your Facebook news feed is all bourbon related stuff. You missed the pregnancy announcement from your best friend because you never check real world FB any more. At some point you do post something relevant on your FB wall, and get likes from people that you don’t know or remember friending. You then realize how many bourbon-related Facebook friends you have. You visited 4 liquor stores during your lunch break and didn’t buy a single bottle. You are very specific in your hunting. The old man running one of those stores recognizes you now as the strange guy who always comes in looking for dusties but never buys anything. He is considering calling the police next time you come in. Speaking of that, you take pictures of bottles with actual dust on them and send them to friends. “Is this dusty?” Yes, it’s dusty as hell, but no it’s not worth anything, ok? You begin to consider a part time job to pay off your credit card bill from all the bourbon purchases lately. Seriously, how hard could it be to be a barrista at Starbucks? You never sleep anyway. You may have forgotten to pack your toothbrush and your razor for your trip, but you definitely remembered to take a zip lock bag with several 2oz samples, or at a minimum you packed a bottle in your luggage. 7 Comments on Top 10 signs you have been bit by the bourbon collecting bug. Dead on… I am guilty of a few of these. Funny! Spot on. Only thing I would add is that when you travel, you also pack shipping supplies in the hopes that you may find a store someone hasn’t raided yet for hard to find bourbon in other states. Chuck is guilty of all of these. But, so am I.
HAHA, #5 ended up being me at some places. But if the website (if there is one) doesn’t list what is on the shelf then you’ll be seeing me once a week. I’ve got a fever and the only prescription is more bourbon!